Following the change in the law which came into force on 1st November, councils will be able to charge more council tax for long term empty properties. 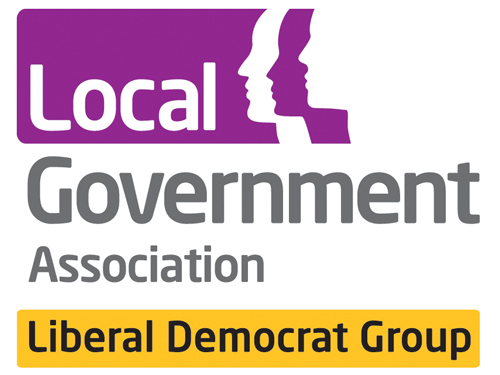 Press release from LGA Lib Dem Group Whip Alan Connett and the Teignbridge Liberal Democrat Council Group is below that you may want to adapt for your own area, and after that is a draft motion in case your council hasn’t spotted the opportunity! Quadruple Council Tax could be charged on long-term empty homes in parts of Devon if plans going to Teignbridge councillors on Tuesday (4 December) are approved. New rules brought in by the Government earlier this month have given councils the powers to ramp up the Council Tax on homes which have been empty for more than two years. Currently, it is believed there are 200,000 properties standing empty in England, says the council. Across Teignbridge, the council says there are 87 homes which have been empty for more than two years, with 16 of them left vacant for 10 years or longer. The plan to increase Council Tax on long-term empty homes has been welcomed by Cllr Alan Connett, Liberal Democrat finance spokesman on Teignbridge Council. He said: There is a national housing crisis with 1.6 million families on waiting lists for what we used to call council housing. The new Council Tax will hopefully encourage owners to either bring the properties up to date and into use, or sell them if they cannot afford any necessary repairs and renovations. “Teignbridge has a good track record over many years of working with owners to bring empty homes into use. It’s a scheme we started off when the council was run by the Liberal Democrats. Sometimes, you get situations where people inherit a property and may not be in a position to manage it. “Under schemes run by councils like Teignbridge, help and support can be provided to bring houses back into use and lift the burden off the owners’ shoulders. However, we still need to do more and increasing Council Tax may be the encouragement that’s needed,” added Cllr Connett. Under the plan, Teignbridge will charge double Council Tax from next April for homes empty for more than two years. In 2020, that will rise to triple council tax for homes empty more than five years and from 2021, homes left vacant for more than 10 years will pay four times the standard Council Tax rate for the property. There are some exemptions from the new rules. Homes which would be the sole or main residence of a person who lives in armed forces accommodation would not be charged extra, for example, explained Cllr Connett. If councillors back the plan to put a new levy on long-term empty homes, Teignbridge says it could bring in an extra £68,500 next year, rising to £153,600 in three years time. The Council Tax is shared between other authorities such as Devon County Council and Devon & Cornwall Police. Teignbridge would keep around 10 per cent of the extra money it collected. Since 1 April 2013, local authorities in England have been able to charge a premium of 50% on the full council tax charge, and that a further change to the law has now been made to allow councils to raise this premium. The legislation allowing this to happen became law on 1 November 2018 and is contained in the Rating (Property in Common Occupation) and Council Tax (Empty Dwellings) Act 2018. A key intention of this is to encourage owners of empty properties to bring their properties back into use. When 1.6 million households are on social housing waiting lists, long-term empty properties are a wasted resource. An empty property for council tax purpose is defined as a property that is ‘unoccupied and substantially unfurnished’. As noted above there are currently just over 200,000 long-term empty dwellings in England. This compares to 300,000 in 2010. The number has reduced since 2013, when councils were given powers to charge a 50% premium under the Coalition Government – so applying a premium has been a successful incentive in tackling empty homes. The law introduced incremental increases that can be applied to reflect the length of time that properties have been empty. From April 2019 properties that have been empty for more than 2 years can be charged a 100% council tax premium. By April 2021, properties empty for more than 10 years will be liable for a 300% council tax premium. Find out more. Council notes that long term empty homes are a wasted resource and could also raise some money for local services. We call on [OUR COUNCIL] to implement the council tax premium for long-term empty properties without delay.